Traditional deviled eggs with a variety of fillings including capers, fresh herbs, salmon, and chutney. Fresh Asparagus wrapped in prosciutto ham and glazed in brown sugar. Baked Mushroom Caps stuffed with crab meat. Traditional and Roasted Red Pepper hummus served with Pita chips. Artisan Cheese and crackers on a woodblock for guest to build their own snack. 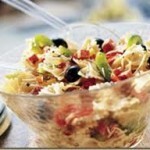 Olives included to top off this snack. Fresh cocktail shrimp with a crispy coconut outside. Served with an orange marmalade sauce. 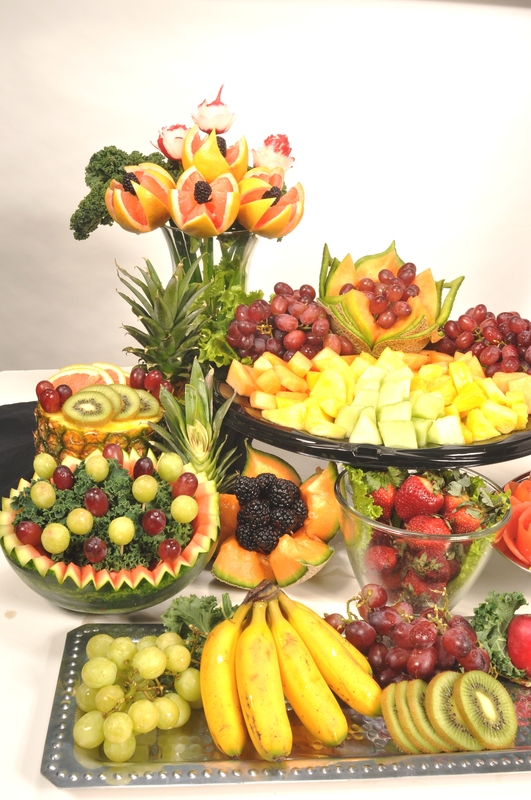 Finely diced seasonal fruit such as kiwi, strawberries, and oranges served with homemade cinnamon chips. 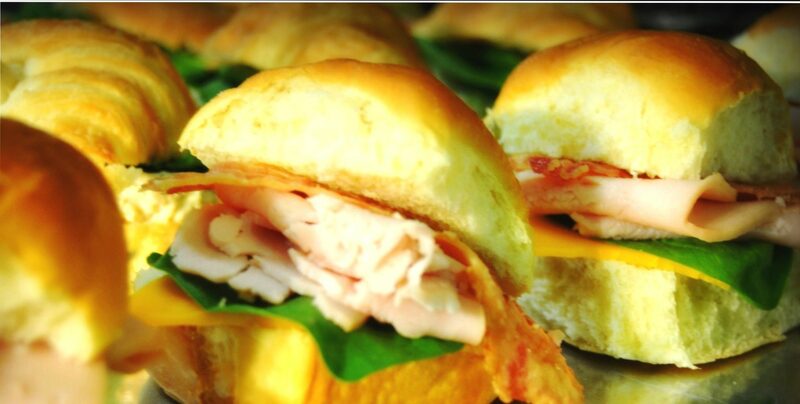 Chicken Salad, Honey Glazed Ham, Oven roasted Turkey on either mini croissants or sweet roll. A selection of finer meats including pork tenderloin, salmon, grilled chicken, and pulled pork. Breads will include sweet roll, pumpernickel, and French roll. Mashed potatoes seasoned with garlic and cheese piped into spirals and baked to create bite size crispy potatoes. Warm dip served with a basket of crackers, breads, and chips for dipping. Mini Chicken kabobs with pineapple and cherry tomatoes served over a bed of rice. A soy and brown sugar glaze is the secret to these being loved by all. 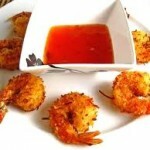 Fresh shrimp tossed in a jerk seasoning and sweetened by a touch of honey . Displayed on a platter with a mango and lime drizzle. 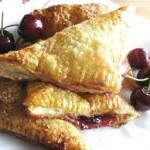 Golden Puff pastry filled with lobster and a spicy cream cheese spread. Served warm. 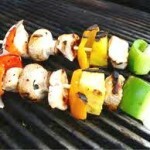 Petite Chicken chunks marinated in a specialty mustard sauce; threaded on skewers with peppers and mushrooms. Ravioli stuffed with Italian cheese blend. Served with a hearty marinara sauce. Available as toasted crunchy snacks or fresh. Assortment of veggies ( cucumber, tomatoes, peppers, mushrooms) stuffed with cream cheese, Ranch salad mix, or three cheese blend. Sautéed spinach mixed with cream cheese and marinated artichoke hearts. Seasoned and served in a breadbowl. Available as hot or cold dip. Assorted pasta and potato salad served in individual portions. 2 oz bite size pieces served in a specialty BBQ sauce.